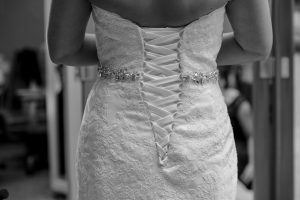 When looking for wedding photography in Rockford, Madison and Milwaukee area, there is one company that stands out above the rest – Stateline Photography. The father/son duo of Jack and John have years of experience capturing those special moments that you will never forget or get back. They take work hard to minimize your wedding stress all while creating epic photographs that you want. At Stateline Photography, we vow to do three things: capture your story, minimize your stress from booking to delivery of images and add energy and excitement to your day (this isn’t just the DJ’s job). With Stateline Photography, you don’t just get wedding photography for a couple of hours. Jack and John will start and finish your wedding day, prewedding and of course the party afterward. They will be with you every step of the way to capture those planned moments – as well as those spontaneous moments that happen. One of the highlights to working with Stateline Photography is the Same Day Slideshow. You will see up to 200 of your best images from your day on a 91″ screen played during your reception. Your family and friends get to experience your beautiful images on the same day. Stateline Photography has worked with many venues in the Rockford and Rockton area as well as several Madison and Milwaukee. Their years of expertise will ensure that you get the best wedding photography possible no matter the venue that you are in. When looking for a wedding photographer in Rockford, Madison or Milwaukee area, look no further then Stateline Photography. For more information or to book your event, contact us today!